SEOUL (Reuters) -- Hyundai Motor Co.'s second-quarter net profit stayed near a record high achieved a year earlier as strong China growth overpowered rising competition and tight supply that eroded sales at home and in the United States. Hyundai Motor, which combined with its affiliate Kia Motors Corp. is the world's fifth-biggest automaker, today reported a 2.52 trillion Korean won ($2.26 billion) net profit for April to June, compared with a consensus forecast of 2.39 trillion won from a Reuters' poll of analysts. This compared with 2.55 trillion won in net profit a year earlier, and 2.09 trillion won the preceding quarter. The South Korean automaker posted an operating profit of 2.41 trillion won on sales of 23.18 trillion won in the second quarter. 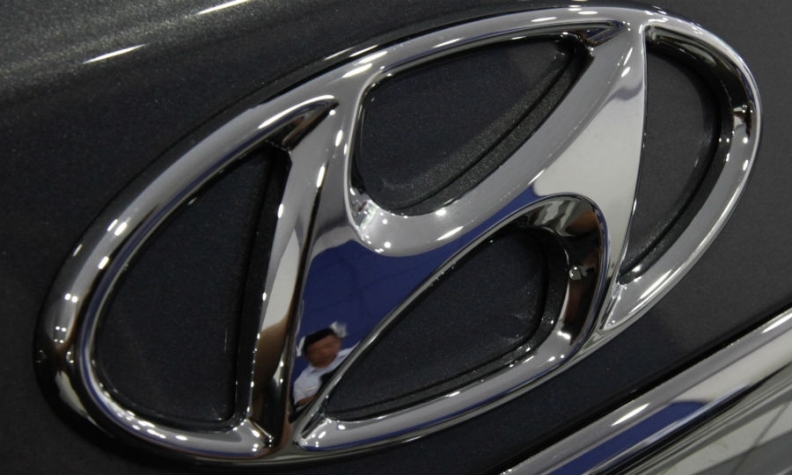 "Today's results were not bad, but seasonally the second quarter has almost always been Hyundai's strongest quarter," Heo Pil Seok, CEO at Midas International Asset Management Ltd., which oversees about $6.4 billion, said by phone. "With a lack of new models and nothing significant anticipated to drive growth, I don't expect Hyundai's shares to show strong performance in the remainder of the year." Hyundai stock has gained 2.8 percent this year. Sales in China jumped 36 percent in the first half from a year earlier, even as the world's second biggest economy has slowed in nine of the past 10 quarters. Last year, Hyundai started production at its third plant and launched a Chinese version of its Elantra compact, as Japanese rivals reeled from a sales decline stemming from a territorial row. Hyundai said its South Korean sales fell 0.7 percent in the first half from a year earlier, while its U.S. sales inched up 1.2 percent. Hyundai Motor's South Korean labor union refused to work during weekends during a dispute over wages from March 9 to June 1, hurting both domestic shipments and exports to the United States and other markets from its biggest manufacturing base. Eyes are on whether Hyundai's labor union at home will stage summer strikes for a second consecutive year over annual wage talks, after its worst walkout last year in terms of production loss. The South Korea won appreciated 2.6 percent against the U.S. dollar on average in the second quarter from a year earlier, reducing the value of its repatriated foreign earnings. In those crucial markets, Hyundai struggled to defend market share amid intensifying competition and the ageing of its models such as Sonata and Elantra. Hyundai cut vehicle prices or gave more incentives from a year ago to lure customers from rivals and to ignite demand for its aging models, analysts said. Hyundai, once a stellar performer in the U.S market, has been losing market share this year, partly because its factories have been unable to keep up with demand in the recovering market which posted its strongest month since 2007 in June. In Europe, Hyundai's sales declined 9 percent, with the region's car sales slumping to their lowest levels in 20 years in the first half of this year because of dismal economic conditions.